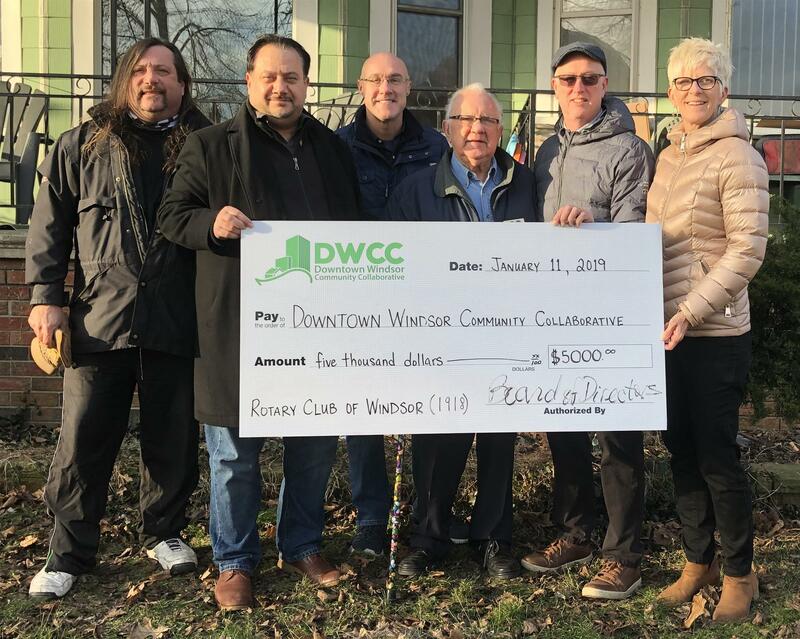 Friday, January 11th, 2019: Our Club presented a $5,000 cheque to support the Downtown Windsor Community Collaborative's Women's Community House. "Finding safe and affordable housing is especially vital for women living in precarious living conditions. To fall asleep at night knowing [they] are safe and loved is the solid foundation for rebuilding a good life." says Bob Cameron, Executive Director of the DWCC.